IALF Global counselors are friendly, experienced, and highly competent. Rini started her career as an Education Counselor in 1997 when she joined IALF. Since then Rini has attended many training courses at institutions across Australia. Her first overseas trip to Melbourne in 1997 was a ‘life-changing experience’, strengthening her knowledge of studying overseas. More than 2 decades on, Rini has an in-depth understanding of higher education in Australia. Rini knows that, besides having the finances in place and being fully prepared, students must have a strong IELTS score to successfully undertake overseas studies. 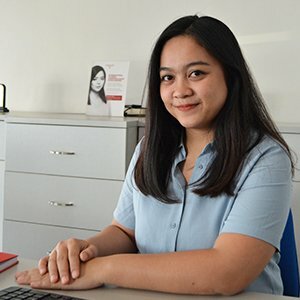 As Manager of IALF Global, Rini takes the greatest pleasure in seeing students succeed in their studies, and is gratified when parents are satisfied with the services her team provides. 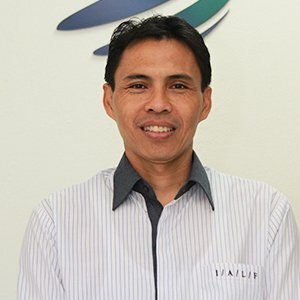 Ketut has been a part of the IALF team for more than 20 years and started working as an Education Counselor in February 2000. 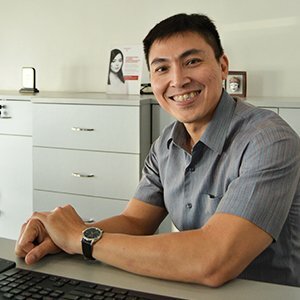 Besides assisting students to reach their study goals, he is always interested in learning more about the education systems and lifestyles overseas. Ketut has visited education institutions in Australia on several occasions and studied English in Perth. These visits have helped Ketut to improve his knowledge and performance as an experienced IALF Global Senior Counselor. Surya joined IALF in September 2012 working in the overseas education office. Surya enjoys his role at IALF because as a leading education institution, IALF has become a valuable pathway for young Indonesians to interact with the world through English. His work as Counselor is to assist clients with planning their future studies overseas. Helping them to prepare all the necessary documentation has become an interesting and challenging experience for Surya. Understanding the rules and regulations of the various institutions and of overseas immigration services requires careful study and accuracy. Everything he does, he does with a friendly smile. 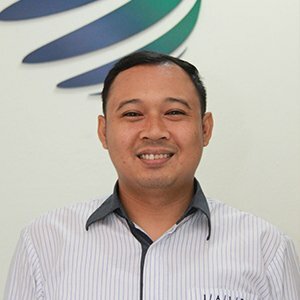 Franky joined IALF Surabaya in 2005, working in the External Relations department. In January 2018, he joined IALF Global Surabaya as a Senior Counselor. Having studied for a Master’s degree at a prominent Australian university, he is happy to share his strategies for how to choose the right study program and the right university or college. He can also advise on how to tackle the challenges of daily life as an international student in a different academic and social culture. The knowledge he gained from doing a degree in the field of International Development is an additional benefit for clients during consultations, particularly those seeking input for a better career in the future. As a Senior Counselor, Franky always pays attention to what an individual client actually “needs”, not only what she/he “wants”. 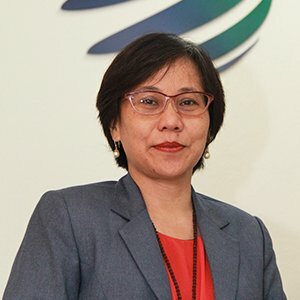 Vita joined IALF Global Surabaya in January 2019 as a Senior Counselor. She is keen on helping students find programs that suit their passion and skills. Vita has worked in overseas education services since 2014 and has assisted many students going to different countries such as Australia, New Zealand, USA, Canada, and Malaysia. Her experience in this field assists her in providing insights to the students before they depart to university destinations overseas. Nathania started her career as an Education Counselor in 2017 in Sydney, Australia. On her return to Indonesia in July 2018, she joined the IALF Global Jakarta team as a Senior Counselor. Nathania has personal experience as an international student since she undertook her master’s degree at an Australian university. She knows that studying overseas is not simply a way to increase knowledge, but also an opportunity for personal development and networking. Nathania enjoys meeting prospective students from diverse disciplines and cultural backgrounds. 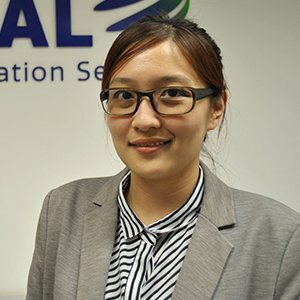 She takes pride in providing a friendly service to help students to choose their pathway to overseas study for their future career - in an environment that satisfies both students and their parents. 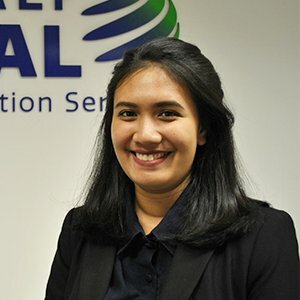 Marsha started her work as an Education Counselor when IALF Global Jakarta opened at the end of July 2018. She is an English Literature graduate who has previous experience in the English language education industry. Marsha's main concerns are that her clients achieve the goals they have set themselves, and that they get amazing service throughout the process. She always maintains the best possible relationship with each of her clients, and is looking forward to building even better relationships through IALF Global. For her, client satisfaction is the top priority. As a Counselor, Marsha hopes to give clients what they need and will definitely help them in any way possible to reach their goals.